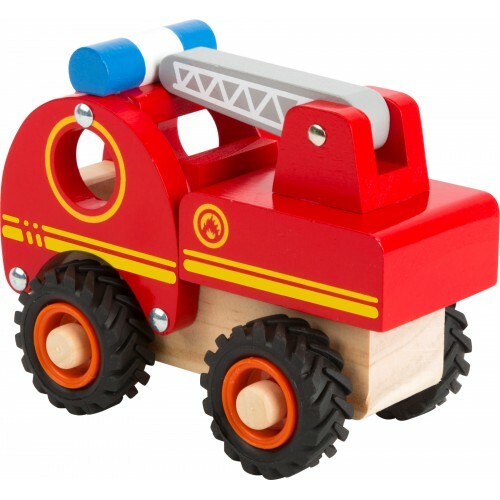 This fire truck will arrive on the scene in no time! 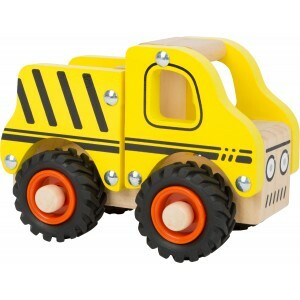 Lovely chunky vehicle perfect for tiny hands. 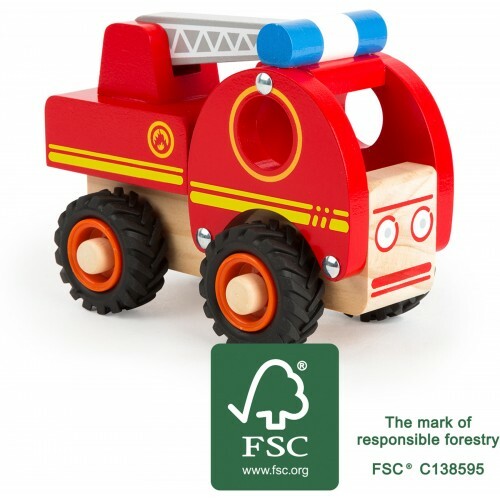 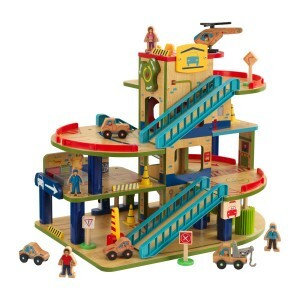 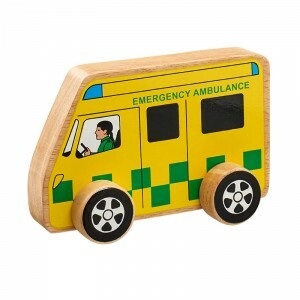 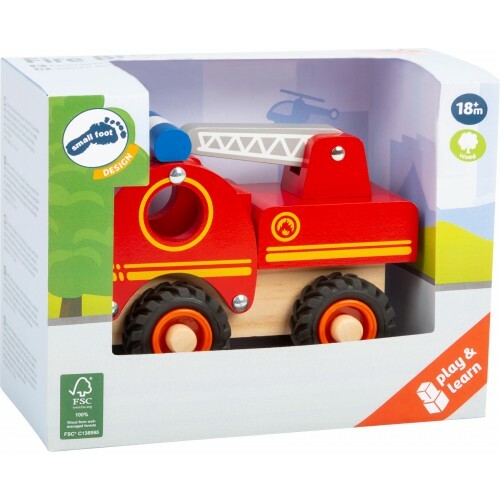 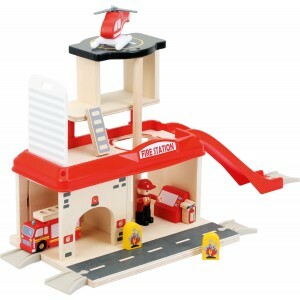 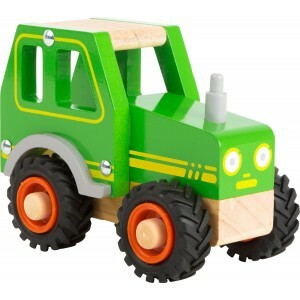 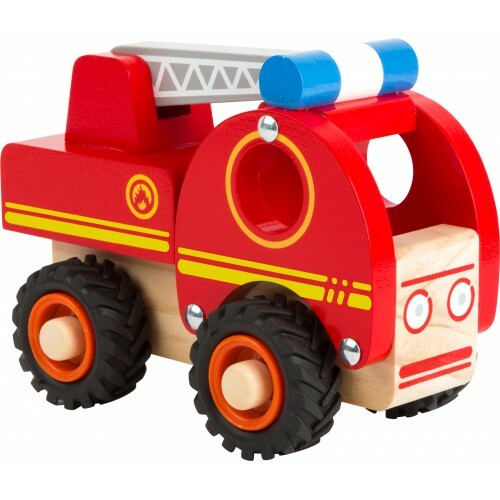 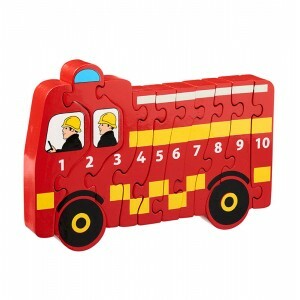 This cute vehicle made of FSC® 100%-certified wood offers big playtime fun for young fire fighters. 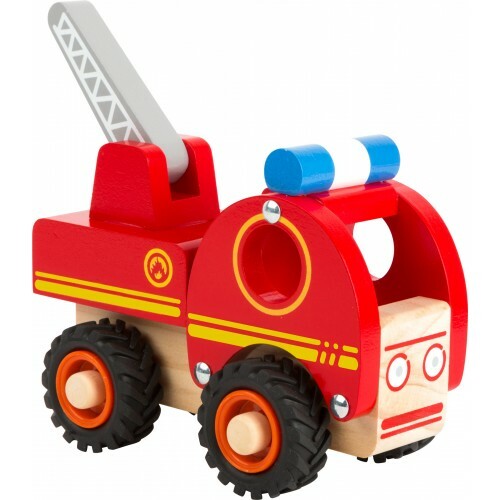 The movable ladder allows the fire fighters to reach places at great heights. 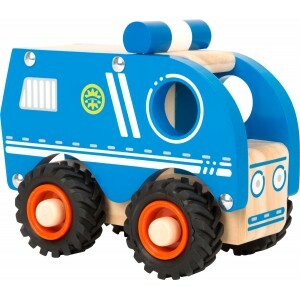 Quiet, rubber-finished tyres help the service vehicle navigate to its next mission. 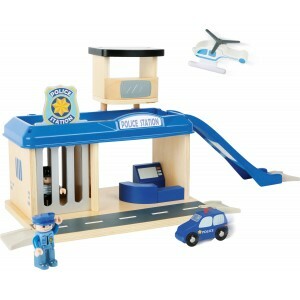 Collect them all for a full fleet, we also stock the police car, tractor and the construction vehicle.